Today’s patient prefers treatments which are safe, effective, fast and with minimal discomfort. USGI Medical has a unique technology to help bring this desire to reality. In select gastroenterology procedures, patients now have an option with our patented Incisionless Operating Platform® to avoid many of the issues associated with traditional incisional surgery. 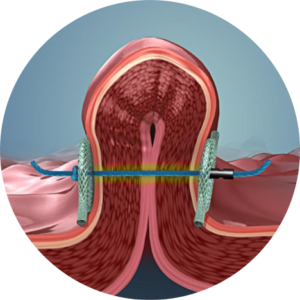 Utilizing small flexible instruments, our technology creates durable and permanent tissue folds to treat a variety of gastrointestinal indications. Tissue folds are held in place through our proprietary Snowshoe® Suture Anchors which help facilitate permanent tissue remodeling. The Hydrocare is a reliable and ergonomic equipment designed mainly to attain, in optimum conditions, treatment with hyperthermic intraperitoneal chemotherapy (HIPEC), intrathoracic (HITC) and intravascular (HIVC). – Very low thermal inertia. The pump is equipped with a detachable rotor (vortex pump head or with wings) driven by a rotating electromagnetic field without moving parts. In principle, this kind of pump is unable to create a dangerous excess pressure even if plugging of tubes. A low-flow module 0 to 1.2 l/min ideal for HITV and HIVC (typically 0.5 to 0.8 l / min) and CHIV (typically 0.2 to 1 l / min). High flow module, up to 4 l/min covers all other cases. The fluid switches necessary for the performance of these different sequences are performed by electro-pneumatic pistons that come pinching tubes without any contact with the fluid. On request, specific HYDROBOX can be performed by HYDROMEDIC or directly by medical teams on the basis of an existing standard HYDROBOX to achieve specific clinical trials. All contact with the fluid elements met in a sterile disposable HYDROBOX that installs in one motion on the basis of the unit. The implementation requires no attention from the surgeon and is usually carried out by technicians. The Hydrocare has a panel PC with an adapted touch screen, ensuring both ease of use and reliability. MonoStereo Visualization System designed to have the stereo visualization from monoscopic image during the Minimally Invasive Surgery (MIS). It provides real-time display and adjustable 3D effects to minimally invasive surgery. Since 2D rigid and flexible endoscope are both emerging tools for MIS and interventions, unfortunately, depth perception is lost in 2D endoscopic capturing and display. It makes surgical and interventional tasks harder and difficult to recognize the tissues lesions. The system works well with all HD 2D endoscope systems, not only keep 2D features as room-in, room-out and rotation, but also see 3D effects with depth perception and adjustable 3D disparity. The NS-SIOM-1E is a touch-screen, user-friendly intraoperative monitoring system available in 4 or 8 channels, which has wide applications for use during different types of surgery. The EsophyX device is designed to reconstruct the gastroesophageal valve (GEV) and help restore the GEV’s function as a reflux barrier. 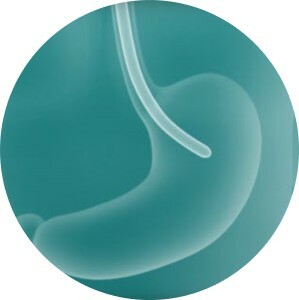 It is used to perform the TIF® procedure — Transoral Incisionless Fundoplication — by enabling the creation of a 2-3 cm, 270° esophagogastric fundoplication. The device is a fastener delivery system and utilizes proprietary tissue manipulating elements to deploy approximately 20 SerosaFuse fasteners. A flexible video endoscope is inserted into the central lumen of the EsophyX device to provide direct visualization throughout the TIF procedure.